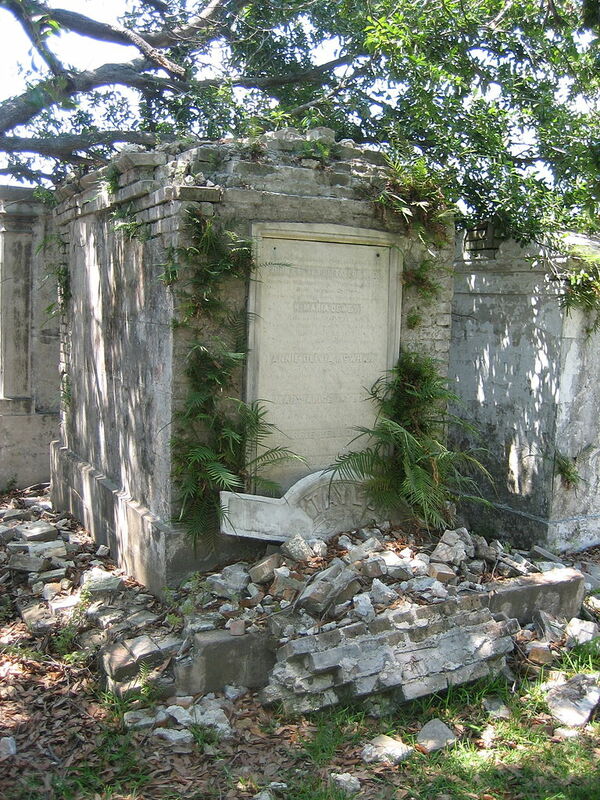 In 2009, the Tulane School of Architecture Preservation Studies Program and Preservation Trades Network in partnership with the 1772 Foundation, National Center for Preservation Training and Technology, World Monuments Fund and Save Our Cemeteries offered the Preservation Studies Summer Field School: “Cities of the Dead: Above-Ground Cemetery Preservation, Conservation, Documentation Methodology and History” in New Orleans, Louisiana. 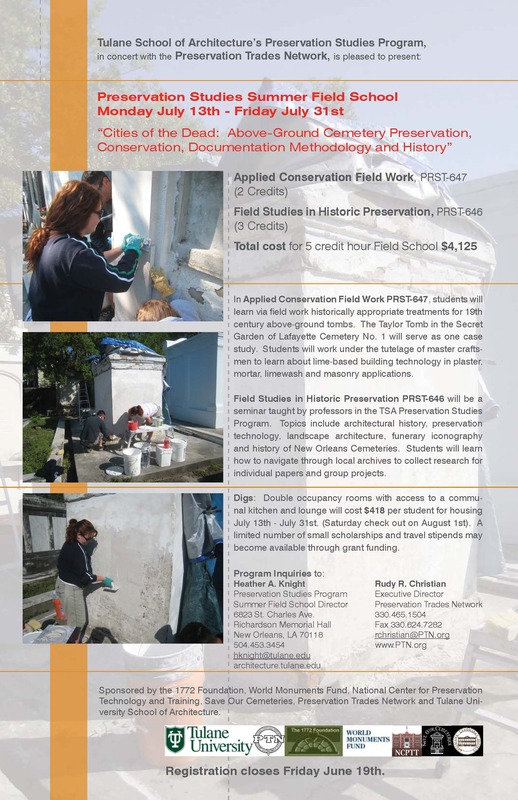 In Applied Conservation Field Work PRST-647, students learned via field work historically appropriate treatments for 19th century above-ground tombs. The Taylor Tomb in the Secret Garden of Lafayette Cemetery No. 1 served as one case study. Students worked under the tutelage of master craftsmen to learn about lime-based building technology in plaster, mortar, limewash and masonry applications. Field Studies in Historic Preservation PRST-646 was a seminar taught by professors in the Tulane School of Architecture Preservation Studies Program. 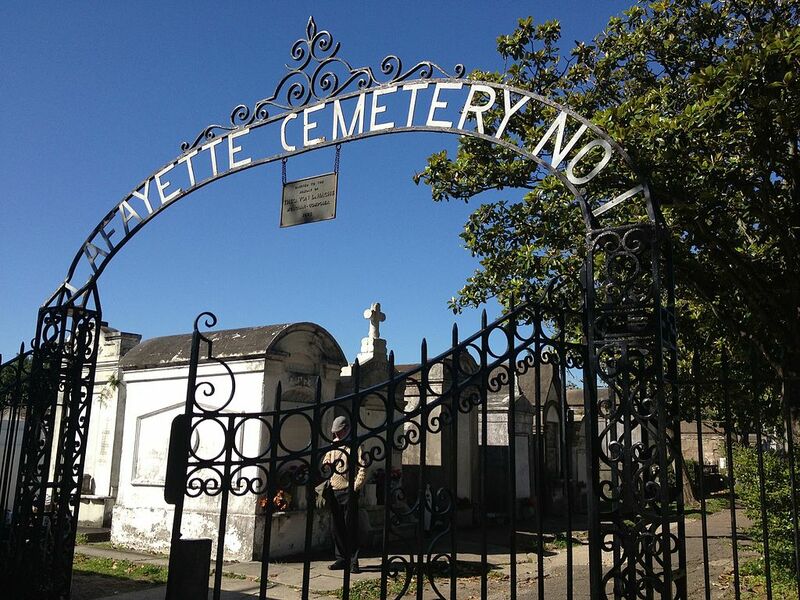 Topics included architectural history, preservation technology, landscape architecture, funerary iconography and history of New Orleans Cemeteries. Students learned how to navigate through local archives to collect research for individual papers and group projects.